As anyone who has created an estate plan knows, in order to finalize the plan, you must sign documents. These documents may be wills, trusts, powers of attorney, health care directives, deeds, or any other related form or document. In order to sign these documents, a person must have sufficient capacity, otherwise the documents may later be invalidated. There are a number of situations where a lack of capacity may be an issue. A person with developmental disabilities, a person who has suffered a traumatic injury, someone in the late stages of a terminal illness, or certain people of a certain advanced age may all experience diminished capacity at one time or another. Of course, dementia falls within this category. Dementia is a diagnosis that encompasses a wide range of brain diseases. It is common, especially among people aged 80 and up. It can cause a number of symptoms that would impact a person’s capacity to understand an estate plan. Minn. Stat. § 524.2-504(a) (emphasis added). As indicated above, a testator need not actually sign the document herself. That said, acknowledgment that the signature is a “free and voluntary act,” and that the testator is “of sound mind” and “under no constraint or undue influence” is necessary for proper execution of a will. Whether a testator has a sound mind is a fact issue. The testator’s sound mindedness is typically determined by the following: (a) the witnesses’ observations at the time of execution of the document; (b) observations from the testator’s friends and family in the months or weeks preceding execution; (c) doctor’s notes and diagnoses from visits and examinations; (d) an attorney’s notes related to the client; and (e) any major decisions the testator made that drastically changed the course of the estate plan, to name a few. It behooves an attorney to pay close attention to the unique circumstances of the client’s situation, including family dynamics and stated intent at the time of drafting and execution in order to determine whether any conflict will arise. 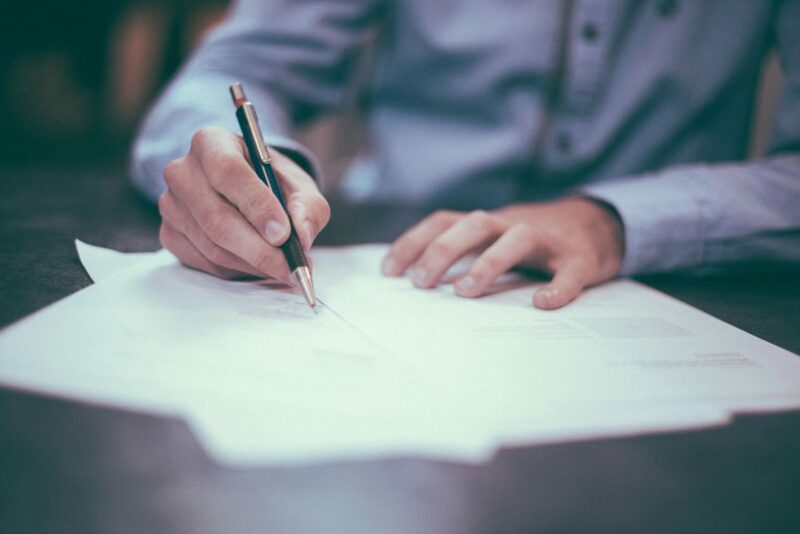 If a parent disinherits a spouse or a child, the attorney should take copious notes as to the reason for the disinheritance. If a parent indicates, for instance, that she has had no relationship with an adult child for many years, ask for specifics. How long has she gone with no contact? Who made the last attempt at contact? What was the reason for the termination of the relationship? Is anyone in the family still in contact with that child? Would that child expect any sort of inheritance from her parent? Answers to these questions will assist the estate planner in predicting whether conflict will arise upon the testator’s death. One of the worst things a testator can do to a loved one is to disinherit that person and not tell her. Some people are so conflict averse that they cannot find a way of expressing their feelings to their loved ones. What that does is create an expectation in the person’s mind of an inheritance. When the testator dies without providing for the loved one, that person is left with questions and emotions and an inability to obtain closure. This can be devastating and debilitating for some people. What is worse is when a claim of diminished capacity is introduced into the factual circumstances. A claim of diminished capacity can wreak havoc on an estate. High litigation costs may ensue that could eventually eat away at the estate. Diminished capacity claims typically involve the undue influence cause of action. This also is a factually specific cause of action. If a matter like this proceeded to court, doctors, attorneys, and witnesses may need to be deposed, medical records reviewed, and evidentiary hearings held. It can be a trying experience for the parties, as they both have divergent beliefs about the capacity of their loved one. These types of cases typically divide families forever. To avoid such a situation, an estate planner should take a number of precautions. The first is to take copious notes during meetings. The second is to ask a lot of questions. Each estate plan is different and has unique considerations. No estate plan should be treated the same, because no family is the same. The third is to pay attention to red flags during the meeting. There are a number of red flags that may appear during a meeting with a testator with diminished capacity. An estate planner should be aware of the potential for conflict if a testator appears for meetings with only one of several adult children. If only one child is available to meet, then the estate planner should satisfy herself that the other children are on board with the plan. An estate planner should also be aware of a testator’s decisions that would negatively impact children. Specifically, large gifts to organizations, charities, or individuals who are not part of the family can be concerning to beneficiaries. An estate planner should take notes on why the testator wants to leave an inheritance to any one of these entities. Sometimes children simply need an explanation for such a gift. Another decision typically met with resistance by beneficiaries is the decision to treat beneficiaries unequally. If a parent decides to treat adult children disparately, the decision should be documented vigorously. In the case of a client with two 50-something-year-olds – one is a multi-millionaire and the other lives paycheck to paycheck – this could be an appropriate plan. But I always recommend that clients in this situation obtain the consent from the wealthy child. If the wealthy child always felt competitive because she never felt loved as a child or felt her sibling was the favorite, perhaps she would become upset at the idea that mom was continuing to favor her even in her estate plan. This sort of child would have the means to litigate the matter ad nauseam. This would not be in keeping with the parent’s wishes. Asking a parent if a child is favored is always a good place to start when attempting to predict challenges to an estate plan. If an estate planner asks these types of questions of clients, the planner should be able to assess whether diminished capacity is involved. If a client cannot provide a basis for a decision, if a client is extremely short with the planner and refuses to provide information, if a long-term client seems to have experienced a personality change, all of these situations should prompt further digging – documented digging – by the planner to ensure that a proper, valid, and enforceable plan is being created.